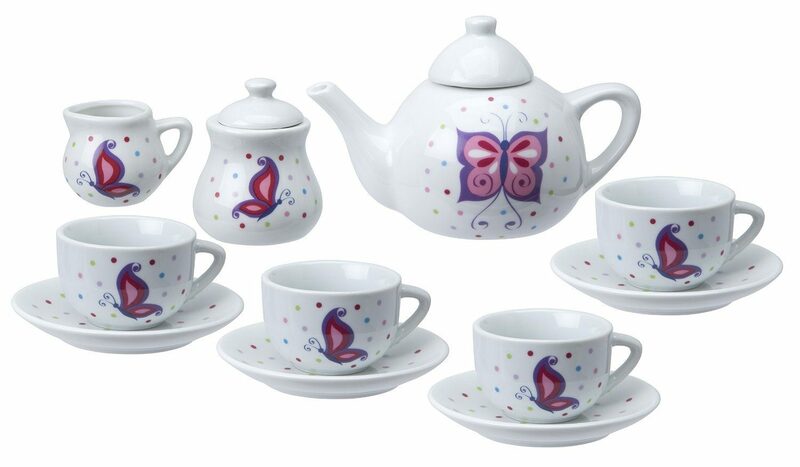 ALEX Toys Chasing Butterflies Ceramic Tea Set Only $12.82 (Reg. $24.99)! You are here: Home / Great Deals / Amazon Deals / ALEX Toys Chasing Butterflies Ceramic Tea Set Only $12.82 (Reg. $24.99)! Check out this great Amazon deal! You can get this fun ALEX Toys Chasing Butterflies Ceramic Tea Set for only $12.82! This is a wonderful gift idea for any child who loves to play pretend.